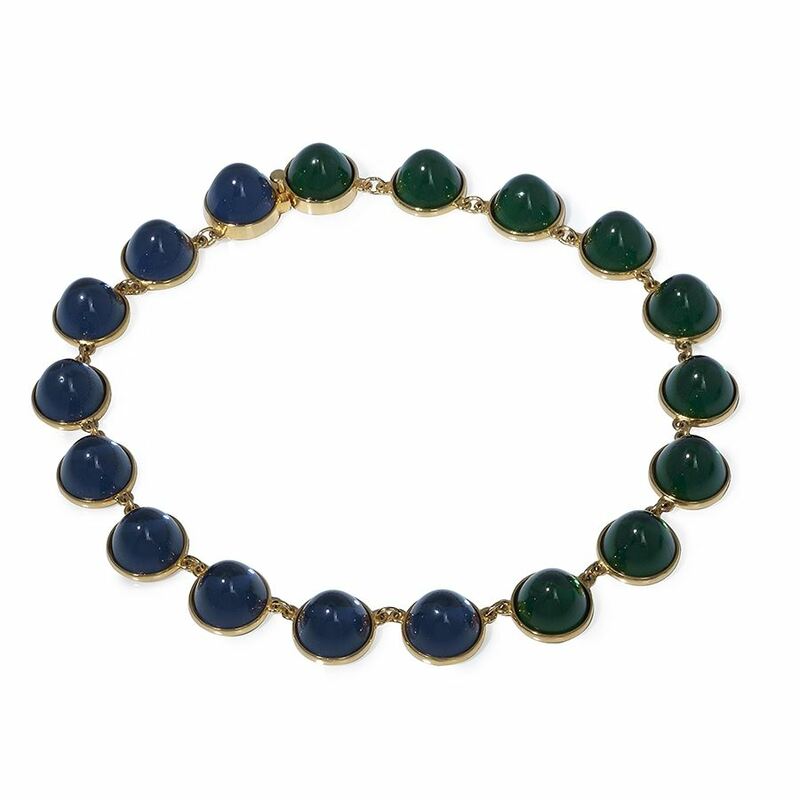 With half Emerald and half Sapphire high dome cabochons, the Biltmore collar offers a twist to a classic design. It’s meant to become your every day piece for work or play. Encrusted with high dome cabochons and pearls, our Biltmore enhancer makes a grand entrance. 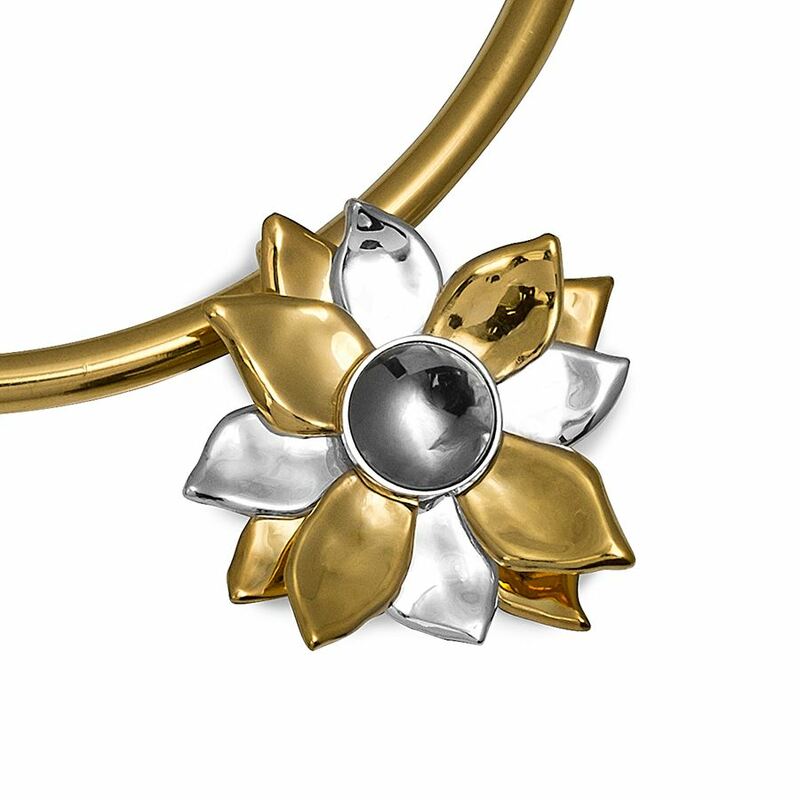 Attach it to your pearls for an old-world feel or to our Signature choker for a more modern take. 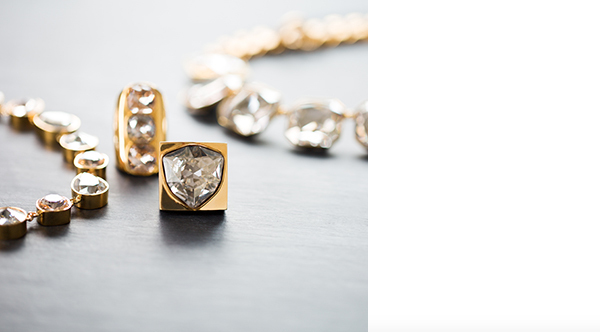 Encrusted with high dome cabochons and pearls, our Biltmore enhancer makes a grand entrance. 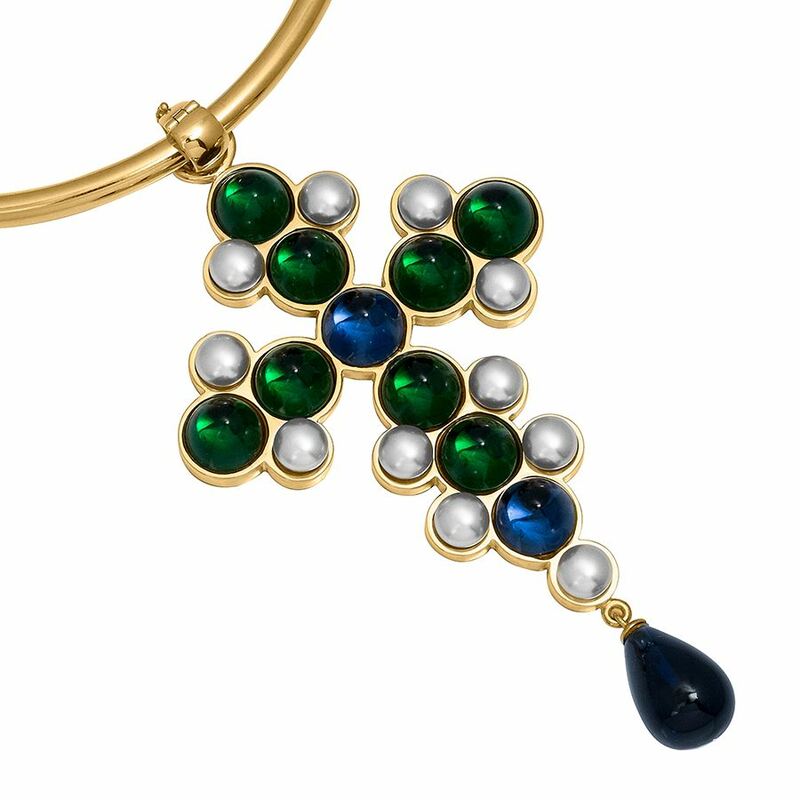 Attach it to your pearls for an old-world cross necklace feel or to our Signature choker for a more modern take. Our Biltmore Medallion Pendant is pure magic! 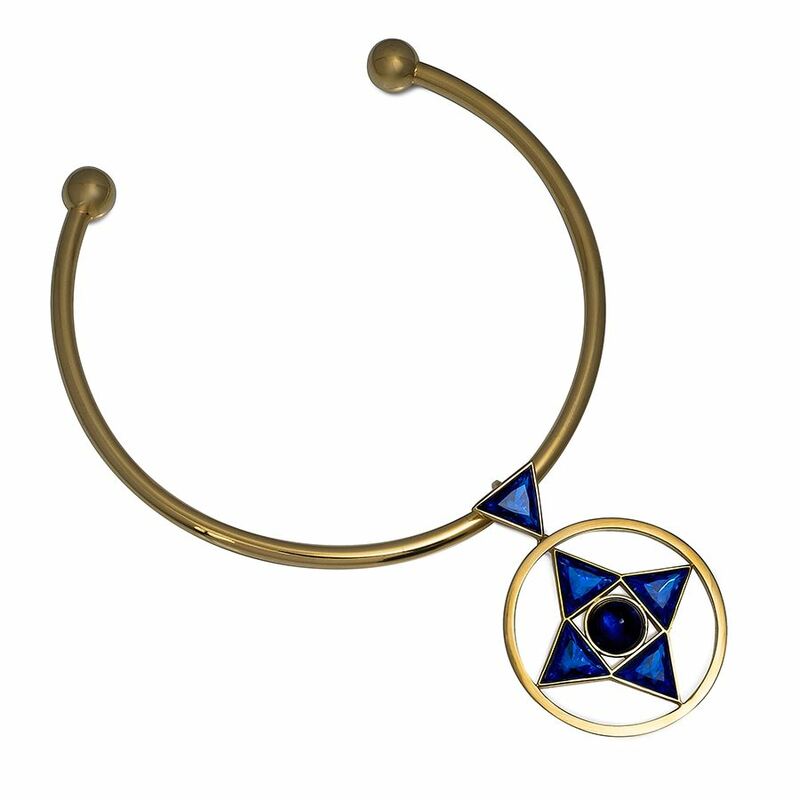 The sapphire blue stones set in a 24K gold plate sphere are mesmerizing and guarantee you an instant following! 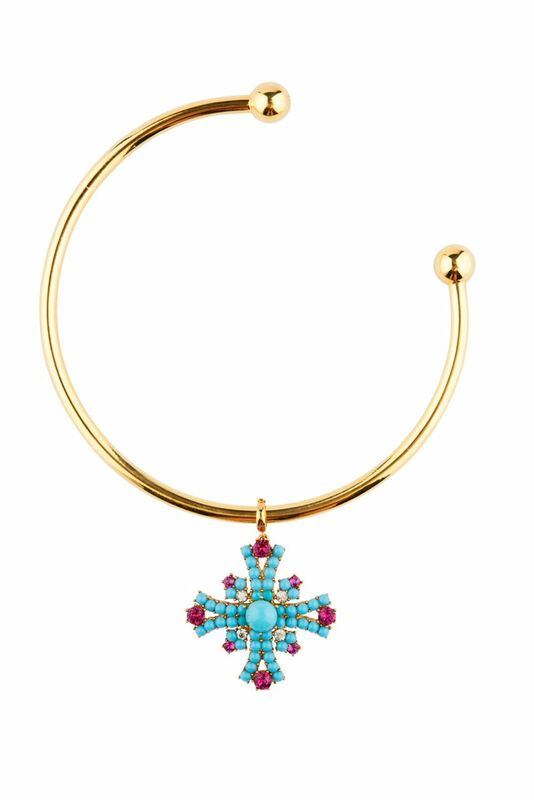 Wear it on our Signature choker or your own chain. 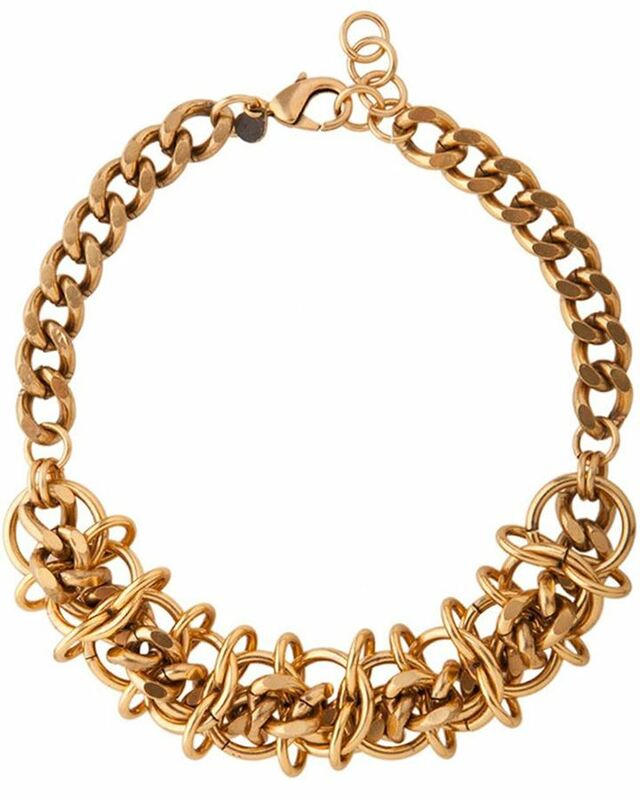 Make a grand entrance with our Eugenie Necklace, featuring bold interlocking hoops. 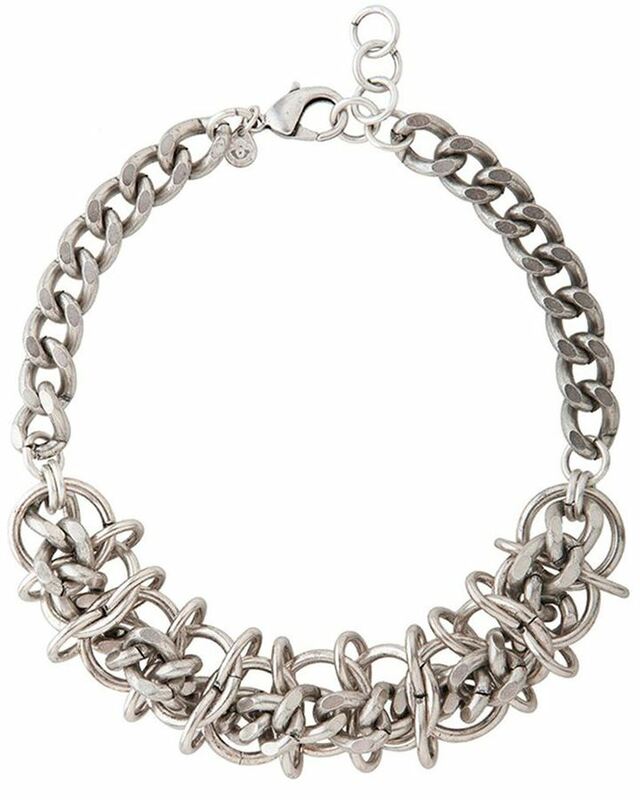 Our striking Eugenie Necklace will make your neckline the main attraction of any look.